Statistics had started showing from as early as 2013, the effect of this menace on the students. However, in 2016, the crisis went up exponentially with teachers having to bring food to school to sustain starving children. Financial demands that exceeded income. 38% of the affected children came from families where the parents were too busy to ensure they are adequately fed. Parents leave early without preparing breakfast and come late in the night. Consequently, children who cannot prepare their meals to depend on the school meals as their only source of balanced diet. Otherwise, their meals comprise only of snacks and fast foods. Those who have the ability to produce healthy food options are encouraged and supported to do so. As a result, Feedbo developed into a charity food bank and a charity community educator. 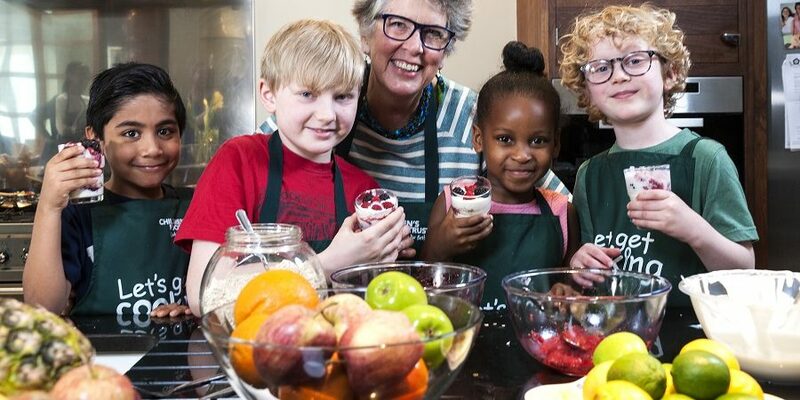 Feedbo recognises that a lot of food is wasted in the UK annually which if properly preserved can help several children from hunger-stricken families. We believe that there are good people out there and organisations that are willing to support in the fight against hunger. All they need is a group that they can entrust with their donations. While giving people cheap food is a kind gesture, it only safeguards them against the hunger pangs of today. They need to be given knowledge which when properly utilised, can shield them from the stings of the coming years. This is Feedbo’s second burden. We believe that the main reason why food insecurity continues to rage in the United Kingdom despite the numerous food banks is due to the limited effort at empowering the people. Parents and children alike need to be taught on the ways of using available resources to produce and preserve food. On top of offering cheap foods and teaching the community, we also take the opportunity of the need for individually tailored solutions. We work at finding needy UK families and help them chart a path to food security. We achieve these through the help of teachers and local authorities in different communities.